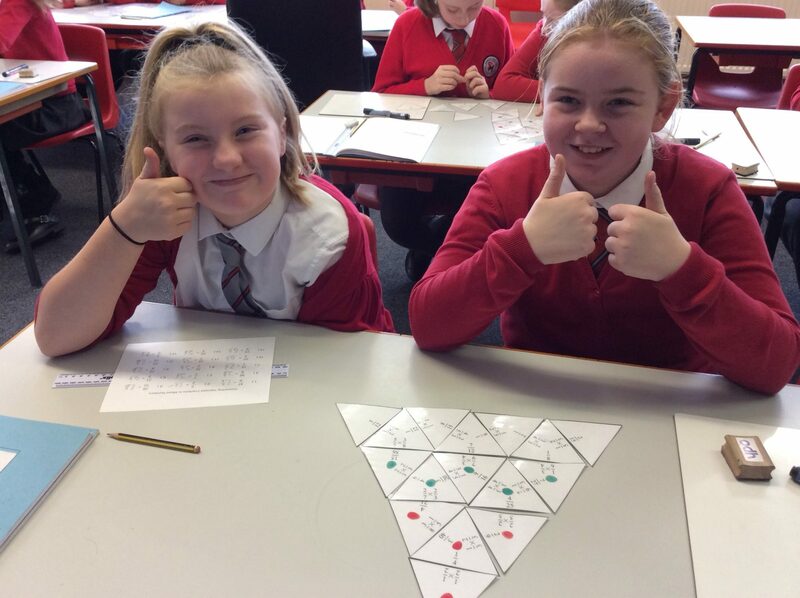 Some fantastic team work and resilience demonstrated during today’s maths lesson. Excellent work multiplying fractions to solve the puzzle. Well done Lucy and Lucy. This entry was posted in Year6 and tagged Maths on November 29, 2017 by Sandford Hill. When multiplying fractions, don’t get in a strop. Just times bottom by bottom and top by top.